Caroline Sullivan is a managing director and global banking controller for Bank of America. Based in New York, Caroline joined the company in 2011 as the controller for Bank of America’s main broker dealer. Previously, she spent six years at Morgan Stanley, where she held a variety of controllership roles in New York and Hong Kong, and before that held positions at Allied Irish Banks in New York and EY, where she began her accounting career. She is also a U.S. board member of Children’s Medical Research Foundation and an active member of Summit Performing Arts Resource Committee. 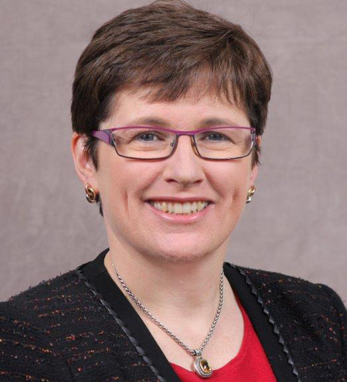 Caroline is a certified public accountant and holds an M.B.A. from Seton Hall University and a bachelor’s in primary teacher education from St. Patrick’s College, Drumcondra. Born in Dublin to a Kilkenny father and Donegal mother, Caroline immigrated to the U.S. in 1989 and became a U.S. citizen in 2004 when her third American child was born. She currently resides in New Jersey with her husband, Jay, sons, Peter and Michael, and daughter, Anna.